Turkish Prime Minister Recep Tayyip Erdogan announced Friday that his government and US helicopter manufacturer Sikorsky Aircraft had signed a long-dormant contract to co-produce an initial batch of 109 utility helicopters. In May, Turkey’s procurement office made an unusual announcement: Turkey “had come very close to signing a $3.5 billion contract with Sikorsky Aircraft for the co-production of scores of utility helicopters.” But penning the deal had since been delayed as top Turkish procurement management accused “US corporate and other bureaucracy” for factors that caused delays. Turkey in 2011 selected Sikorsky as its partner company to lead production of the country’s next-generation utility helicopters. Sikorsky defeated Italian-British AgustaWestland by bidding its T-70, the Turkish version of its S-70 Black Hawk International. 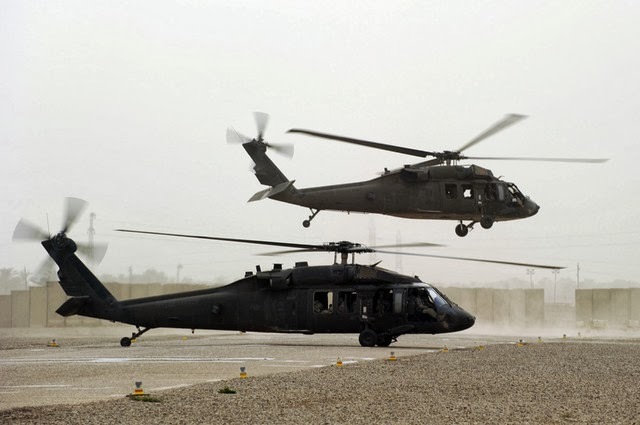 The S-70 Black Hawk International is used by dozens of militaries, including Turkey. AgustaWestland was competing with its TUHP 149, the Turkish version of its newly developed A-149. The first batch will be for 109 utility helicopters, but with follow-on orders, more than 600 platforms could be built at a cost of more than $20 billion, defense analysts said.